So since I start blogging about my braces story, I received lot of comment and email regarding the things to do before & after braces related topic. Hmmm.. so yea because I'm really lazy to repeat it over and over again. Here's the summary of 'my version' of things to do before and after getting your braces done with an extra #FAQs about Braces. So here's some personal tips that I wish to share with all of you about things to do before getting or adjusting your braces. Hopefully this can be helpful for you in the future too. Guess I mentioned about this on my part #1 braces story. Just a little touch of this since braces will normally takes 1-3 years of time, it's best to find a dentist which you feel comfortable to talk & stick with and most important, honest to his/her patients. Some dentist wish to make you happy so they normally will shorten the time for you and end up it keep delay and postpone the date of getting your braces off. So, it's not good to just consult one dentist and decide or rely everything on them. You have to consult few and do a little research on some case study online (this is what I did and consulted 4-5 dentist previously) Super scared to meet unprofessional dentist. Also, during the consultation and research you can basically understand your teeth profile, price , problem and method recommend from diff dentist. This is slightly important to me now because based on my experience there are always some emergency time where my braces got problem or things related to my braces. So let say if your dental clinic is really far from your area that this is really hard for you to look for your dentist during emergency time. And if it's near without any jam then you wont be late or feel lazy to visit the dental clinic each every 1-1.5 months. It's very normal to have your brace adjusted regularly roughly every five to eight weeks. (depending on your case like mine will be every 4-5 weeks). You have to remember that it is very important that you go to these appointments, or the brace will take a lot longer to work and then it will postpone the date to remove your braces or delay the whole process too. So, never skip your appointment and make sure you make your appointment right after your visit so you will never be like 'wait..I will make my appointment when I'm free' In this case, you are free but you will totally forget about this. Hence, the whole braces might take longer time than what you expected. Remember, this is a must do thing (each time you go to your appointment or adjusting your braces). Some dentist might be rude on your lips if you get what I mean. The process of adjusting your braces might take you some time to get use to it and your lip can feel super dry or cracked during the procedure. So make sure to get yourself a nice and good lip balm to protect your lip. 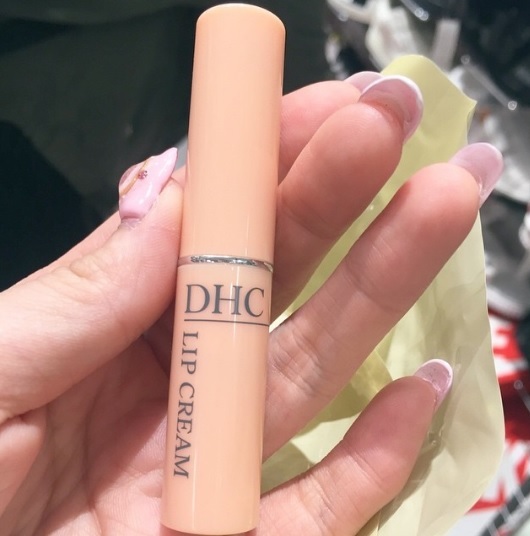 I'm now a lip balm collector wtf* I tried lot of diff lip balm and the best one will be innisfree one super moisturizing and now my favorite is this DHL Lip Cream. Nothing ca beat it!! Since there are lot of method and type of braces to meet each individual's need, it's best if you could discuss and decide it with your dentist. Remember to always tell the dentist what kind of expectation you are looking for or you wish to achieve because some dentist I met really got no interest to hear my thoughts and they will just suggest whatever base on their expectation but NOT YOURS. I did some research before consulting also, impossible to use 1 years can solve my problem because I have a serious problem of overbite and gummy smile at the same time lol. So if you really think braces can make everyone look slimmer or achieve sharper chin or smaller face then you might be thinking it wrongly lol. So still, ask your dentist and look for some example which similar with your case / problem. Some of my friend getting more chubby even they put on their braces. So...it still depend! One of my bestie did her braces 5 years ago when I'm still studying during my secondary school time. After one year of wearing retainer, she feel tired and lazy of that so right after one year she broke her retainer + never go to get a new one. Now, after 4 years all of her teeth back to her original position like the one she had before she getting on any braces. This is really wasting your money , time and effort. So once you considering to get your braces, it should be a permanent task to wear the retainer every night. If not then you can ask your dentist for other suggestion too. Like I said earlier, during the procedure it wont pain because the hardest part is right after you getting your braces. You will feel super sore , numb and discomfort , can't eat any food but you will get used to it so dont worry for this! ps* even I can do it I believe you can do it well too! This is totally normal. Your teeth is now very sensitive and it will take few days or almost a week for you to get use to it. You will feel discomfort because of the pressure the brace puts on them and your teeth will now feel super numb and feel super 'weak' + don't have energy to bite any food. So the first few days you have to stick with soft food like porridge or super soft bread. Other than that, some part of your brace may cause your gums and lips to be super discomfort too. So each time you adjusted your braces please try to close & open your mouth (repeat it over and over again) so make sure the it never poke your lips or gums. Use the wax if neccessery and remember to bring it everywhere so that you can replace a new one anytime. You never understand how hard for us to bite a food until you getting braces and experience it yourself. So bare in mind, only soft food is allowed. Hard food might harm your braces or eating the wrong foods can damage or even break your brace. Fizzy drinks can also stain the brackets of your brace. If you do drink these types of drinks, don't sip the drink - use a straw instead. I eat ice cream each time I feel discomfort after adjusted my braces. It can release my soreness and pain right away but this is a temporary solution not a best one. If you still feel discomfort it's best to consult and re-visit your dental clinic again. Remember to check the wire ends each time you adjusted the braces. It's really important because if this should be one of the main reason of your discomfort. So remember to check!